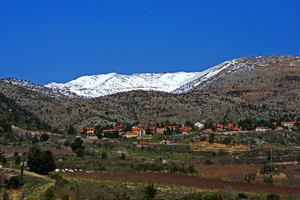 Is it snowing in Mount Hermon ?Thank you! 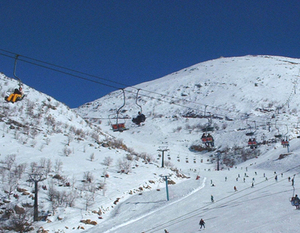 Mount Hermon is 2,814 metres (9,230 feet)above sea level. 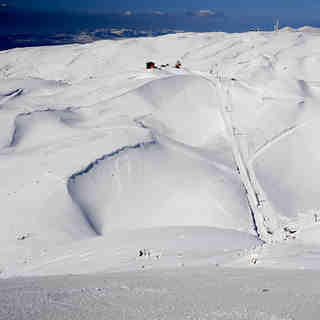 Its highest point is on the border between Lebanon and Syria but some of the mountain falls within the Golan Heights on the southern side. This part is controlled by Israel. 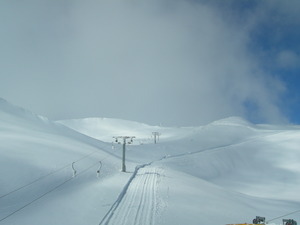 At Mount Hermon 10 lifts serve a snow-sure area between 1640m and 2073m. 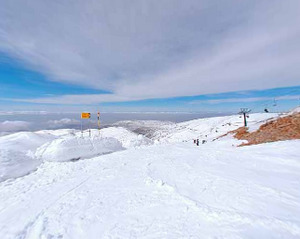 The nearest airport to Mount Hermon is Tel Aviv. 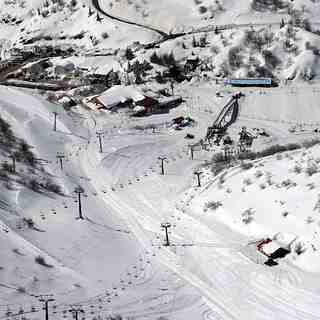 We came with our two year old daughter and we hired a sled. The sled comes with a rope that you can pull. But the rope was torn after 10 minutes. I hurt my back carrying my daughter all the way up. That was not what I wanted when I hired the sled. I asked for a refund and they refused. I asked to see the person in charge and after a long wait after which they did not bother to arrive, we simply drove away.